It doesn’t itch or hurt or anything. It just popped up. I do get dry in the winter and I have had eczema before but haven’t had it in awhile. hi i have eczema and that looks like it may possibly be eczema, but if you're really concerned about it then maybe consider seeing a doctor! It does look like eczema. It doesn’t always have to be all over the place sometimes it’s rather localised. But as @beanna26 said, have it checked out by a dr. You will get a cream or so to stop it itching and spreading. I hope this helps a bit. 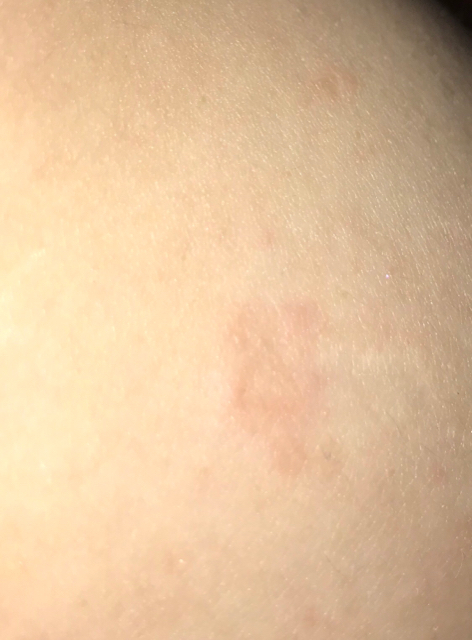 it does kinda look like eczema, ive had it, it comes and goes but mine itches like crazy...you said yours doesnt, like everyone said, id go to a dermatologist to get it checked out. dont panic...youll be ok. If it doesn't itch, it could be hives, which can pop up from allergies or stress - even anxiety. A doctor can tell you for sure!